We definitely look for Paris budget hotels on our trips to France when, exchange-wise, the Euro is not in our favor. And when the tides turn and the dollar goes further, saving money at a budget hotel gives us more money to spend on other things. You can choose from one of the chain hotel/motels in France or go with a smaller hotel that has more character and charm (hopefully). Our choice was this Ibis Hotel in Paris because we could park our rental car in the garage. Formula 1 Hotel in Paris - Cheaper than Ibis, my French cousin always stays at Formula 1 when he travels and finds them very comfortable and clean. The rooms are smaller than Ibis. Click here to share a review of your favorite inexpensive hotel with visitors to this page! A central location is my first choice no matter what, near my favorite places to visit in Paris. I like to be able to go back to my hotel room and lie down before dinner and freshen up if I want (we usually run out of time), but I like the ability to choose. The neighborhoods of the Latin Quarter (5e), Louvre (1er), Opera (2e), Tour Eiffel (7e), and the hip Le Marais (4e) have a selection of budget hotels. The Latin Quarter has a lot. These areas are near Paris tourist attractions, such as the monuments of Paris. You may even find one morning, one of the street markets in Paris right outside. See my Paris city map to locate these arrondissements. My brother-in-law is an expert on finding the best budget hotels. In Paris he favors the Latin Quarter neighborhood. 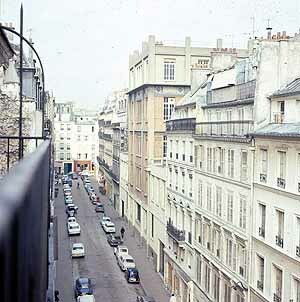 It borders the very upscale St. Germaine area. It’s on the left bank of Paris and is full of university students and a mixture of ethnicities. It is very important to make a reservation if you are planning to stay at a Paris budget hotel. Paris is always busy with tourist, business travelers, and you name it. The best places will fill up and you will be left with nothing. No matter how you book your room, it's a really good idea to print out your confirmation and take it with you to show when you arrive. Make sure you arrive on time and if you will be late to call the hotel to make sure they hold your room for you. Like airlines, hotels can sometimes overbook so make sure to not get bounced. No Reservation? Don't Worry There's Help! I cannot believe that 30+ years ago when I first arrived in Paris with my parents at the Gare du Nord train station we got off the train and walked up to the tourist kiosk to book a hotel. (my parents were adventurous). The woman told us there was nothing but managed somehow to get us into a hotel. It was the Royal Navarin (now called Opera Saint Georges) and turned out once we changed rooms to be a wonderful experience. But we were lucky. And it is still there, it has been totally renovated with all room en suite. Its prices reflects its location – across from a motorcycle shop. Get a room in the back if you’re a light sleeper. This is not a recommendation. I haven’t stayed there in over 30 years so I don’t know how it is. Believe it or not there is still a welcome kiosk at the Gare du Nord and you can get help with booking a room. Also at the following places: Gare de Lyon, Opera-Grands-Magasins welcome center, and the Paris Convention and Visitors Bureau. Rooms are small in Paris so pack accordingly. Two small bags are better than one big bag. Of all the Paris budget hotels listed the one that is at the top for years is the Familia Hotel in the Latin Quarter. It’s suggested in Karen Brown’s B&B guide to France. I love Karen Brown, her philosophy reflects mine in that travel to France is about truly experiencing French culture. She isn’t big on budget hotels in general but likes the Familia. The Familia is also recommended in France for Dummies, and Eyewitness Travel Guide Paris. We tried once to book a room but it was full. You definitely must call this place many months ahead. The Hotel Esmeralda Paris is also a popular Paris budget hotel. Whether you travel from London to Paris, New York to Paris or Melbourne to Paris staying at a Paris Budget Hotel is a comfortable choice. Paris Budget Hotels That You Love? Found an affordable hotel in Paris? Share your story, tip or review about the Paris budget hotel that you love! 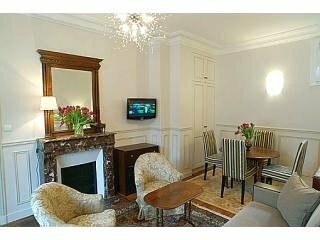 Click on the links below to see some great reviews about Paris budget hotels. They were all written by other visitors to this page.